I know most people will already know about Topcashback but I couldn't see any posts about it and it's definitely worth mentioning for those who don't. Topcashback is in my opinion the best cashback site out there. Not only do they give you 100% of your cashback like Quidco do, but they actually give you a little bit more than that. And you can cash out any time you like. 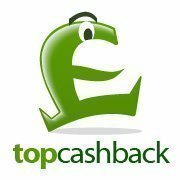 Register with Topcashback and then any purchases you make check out Topcashback first and if the site you're about to make a purchase from is on there, visit via the link on Topcashback's website and you will get some cash back, as the name suggests! You can also get free cashback for things like ordering PAYG sims (you never even have to use them) and if your disciplined enough there are gambling sites where you get more cashback than you have to deposit. Quite a lot more in some cases. Definitely already know about this but thanks for posting anyway!